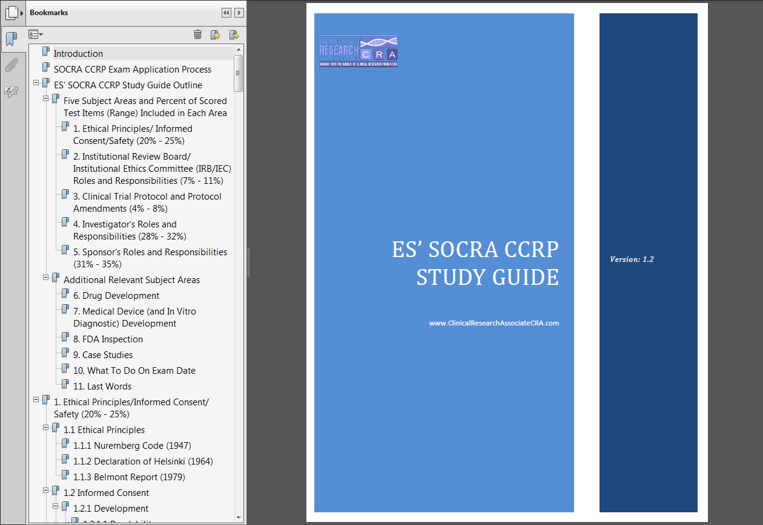 ES' SOCRA CCRP Exam Study Guide | Clinical Research Associate CRA - Career, Jobs, Certification, Industry Insight. Why Do I Need A Study Guide When I Already Got the Reference Manual From SOCRA? If you have already registered for the SOCRA CCRP exam, you should receive the SOCRA Certification Program Reference Manual in the mail. This manual is a good reference material. But imagine reading through the 21 CFR Parts 11, 50, 56, 312, 812, 45 CFR Part 46, and ICH GCP E6(R2) from start to finish, it can be quite grueling. By the end of it, how much information will you really get out of it? Also, the SOCRA Certification Program Reference Manual does not contain any industry experience from an industry insider whatsoever. It’s just a printout of regulations, that’s all it is. 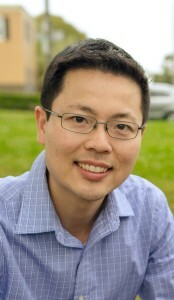 What About SOCRA Clinical Research Professional Certification Preparation and GCP Review Course? The cost for this preparation course is quiet considerable ($295 for SOCRA member, $370 for non-member). This is in addition to the cost of SOCRA membership ($75/yr) and the CCRP exam fee ($395 for SOCRA member, $450 for non-member). The course is offered only a hand full of times per year in different locations. If you do not live near the location where the course will be held, traveling is involved. This means more costs for flight, hotel, car rental, and daily expenses. All these costs could add up to hundreds if not a thousand or more. The information is condensed into compact format in order to fit the 1 day time limit. The information presented can be found from publicly available sources and is not a substitute to one’s own studying. In my opinion, my own time in studying and taking notes from publicly available relevant information (various GCP trainings, CFR, ICH’s GCP, industry websites, etc.) and years of industry experience helped me much more. Another reason is that it was impossible for me to retain information from a 1 day compact course. It was useful for me to summarize key information from my own studying and absorb them at my own pace. If I were to attend this 1 day course without spending the time to study on my own prior to the exam, I would not have aced this exam or even passing it. Instead of trying to plow through countless FDA regulations, guidelines, and industry practices, imagine if there is a Study Guide that helps summarize all those materials in an easy to digest format in bullet points. Imagine if you can click and search different topics in seconds. Imagine if you can browse through and learn the information at your own place in the comfort of your home. Imagine if there are tips and suggestions from someone in the industry who had gone through the exam and aced it with flying colors. Imagine no more. I have compiled the note I took when I was studying for the SOCRA CCRP exam in September 2013. I have named it “ES’ SOCRA CCRP Study Guide” (ES stands for Ernie Sakchalathorn). From these notes, I was able to pass the SOCRA CCRP exam with a score of 96% (I answered 130 questions correctly out of 135 questions total, click HERE to see my score letter). Updated to apply to new exam outline for exams to be held after June 1, 2014. As of today, the current exam outline has not changed since that date (see exam outline by clicking here). 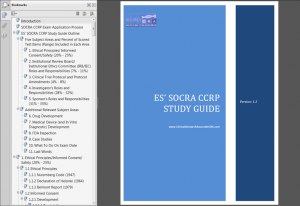 The ES’ SOCRA CCRP Exam Study Guide is still helping people prepare for the exam today. I know this because I get emails from people who was so excited they just passed the exam. Okay, so what’s the cost for this resource? Well, how much is your time worth? How much are you willing to pay to not having to spend hours and hours searching through books and online resources or reading through documents such as Declaration of Helsinki, 21 CFR 312, or the ICH GCP from end to end? How much would you pay to get summarized information in easy to understand format plus inside tips from someone who took the exam who has years of industry experience? This Study Guide can save you precious time and may help you pass the exam and get the SOCRA CCRP certification you need. If this resource existed back when I took the exam, I myself would pay $300 or more for it. Your total investment cost for the ES’ SOCRA CCRP Study Guide is Retail price: $300. On Sale 10% Off $270. Special 25% Off $225 Limited Time Only 40% Off Sale, which brings the final price to $175! Compare that to the cost of the SOCRA’s in person Clinical Research Professional Certification Preparation and GCP Review Course, which can be either $295 for SOCRA member or $370 for non-member + the cost of getting there (flight + hotel + daily expenses). You end up spending hundreds or a thousand (if not more). Plus, how much information can you really absorb in a day? If you are anything like me, your brain is fried after an hour of lecture already. 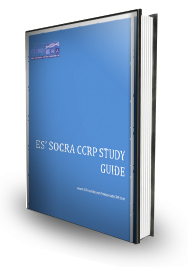 With the ES’ SOCRA CCRP Study Guide, you do not have to travel to get to the training course. You simply study at the comfort of your home at your own pace (where you can really absorb the materials)! Instant Download! No More Waiting For Days For Your Guide! No More Lugging Around A Thick Reference Book! Electronic Format Saves Trees! You can still print it if you choose. It’s a PDF file. You can save it on any devices (laptop, iPad, phone, etc.). Easier to use. Easier to understand. Easier to Pass the exam! NOTE: Individual result varies. Passing test score is not guaranteed. 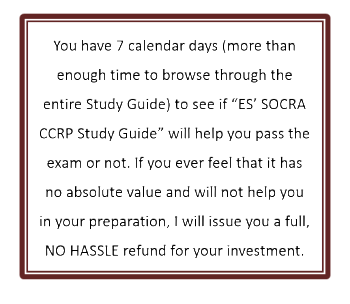 You have 7 calendar days (more than enough time to browse through the entire Study Guide) to see if “ES’ SOCRA CCRP Study Guide” will help you pass the exam or not. If you ever feel that it has no absolute value and will not help you in your preparation, I will issue you a full, NO HASSLE refund for your investment. There is no risk whatsoever on your part. The burden to deliver is entirely on me. Click “ADD TO CART” Below to Get Your ES’ SOCRA CCRP Study Guide NOW! Thanks for taking the time to read this. I wish you the best of luck on the exam. I highly recommend this guide to anyone with limited time to prepare and a busy work schedule. I mostly studied from this guide, some practice questions online + a few pages form the SOCRA guide) and passed with an 88% on my first attempt. I read very good reviews about your study guide. I am buying a study guide. I would like to know if you recommend any mock test/practice test. I am interested in that as well. Kindly advice. I am taking my test in 5 days. Unfortunately, there are really no mock test/practice test out there that reflect the actual SOCRA test questions. It’s hard to create practice questions that are useful and reflective of the actual test questions. I have full time job and don’t have time to take the prep course. I am glad that I found ES’ Study Guide. I spent about 1.5 hours in the morning and one hour at lunch time to study this guide on a daily basis for one month. I passed the test with 85% on my first try. I would recommend ES’ Study Guide to everyone who will take the SOCRA Exam.